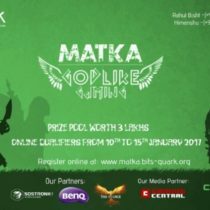 Welcome to Matka, the highlight gaming event of Quark, where gamers across the country battle for the coveted title of The Godlike Gamer. From DOTA 2 to Counter Strike, there’s plenty to quench your thirst for competition. With a total prize pool of INR 3 Lakhs, the stakes have never been higher.